Acetaminophen (such as Tylenol®) is the most commonly used analgesic medication worldwide. I have never been a fan of using acetaminophen for any condition. Let me explain. A recent study published in the British Medical Journal (March 1, 2015) highlighted some of the adverse effects of acetaminophen. 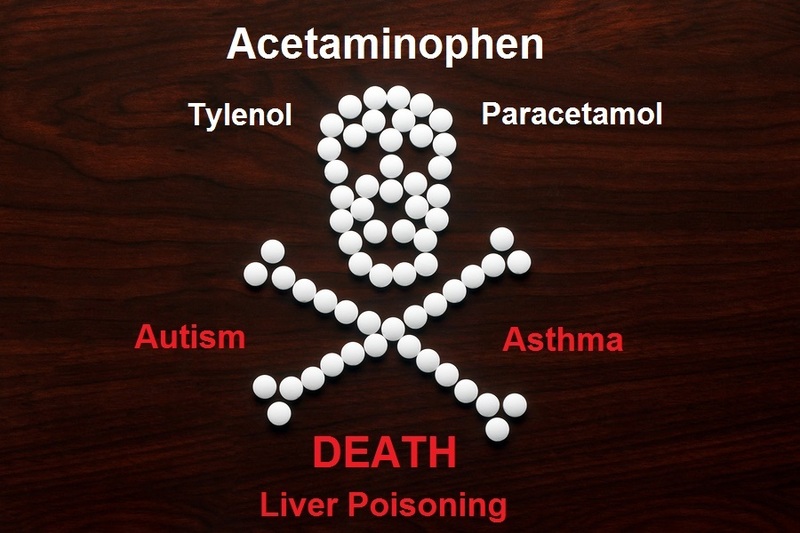 The researchers looked at multiple trials that reported adverse events related to acetaminophen use including mortality as well as cardiovascular, gastrointestinal or kidney problems. In one study, the authors found a 90% increased risk in overall mortality in those taking acetaminophen. Furthermore, there was a dose-response curve in the relative rate of mortality. This means the highest exposure to acetaminophen was associated with a higher mortality rate when compared to the lowest exposure group. Of the four studies that looked at cardiovascular adverse events and acetaminophen exposure, all found a dose-response with the highest users of acetaminophen having more cardiovascular adverse events (68%) as compared to the lowest exposure group (11%). With gastrointestinal and kidney adverse events, a similar dose-response was found; increasing doses of acetaminophen were associated with more problems. Comment: Many physicians and lay people assume that acetaminophen is perfectly safe. It is not. Of course, any substance taken in the wrong amounts could cause harm to the body. However, acetaminophen is an example of a substance that has a small therapeutic window. That means that taking amounts slightly outside the therapeutic window could prove to be toxic. The liver is most affected by acetaminophen as that is where it is detoxified. The upper limit of acetaminophen a day is 4,000mg/day. For most people this maximal limit is safe. But, once the 4,000mg/day limit is crossed, the liver can be damaged and the damage can happen quickly. This upper limit for dosing acetaminophen can quickly be breached when someone is unknowingly using acetaminophen in common cold and upper respiratory remedies as well as prescription and non-prescription pain killers. The FDA has realized the problem and taken steps to remove acetaminophen-containing pain killing drugs from the market. Also, children can overuse acetaminophen when they are ill with a fever. I would highly advise parents against using acetaminophen for fever control in both children and adults. The reason is that during an acute illness that produces a fever, the last thing anyone should do is to take a medication that is potentially toxic to the liver. It is best to treat children with a fever symptomatically with supportive care such as tepid bathing and rest. If an anti-fever medication is needed in an adult, I suggest using a nonsteroidal, anti-inflammatory medication. I know these drugs also have problems, but I think they are safer for short-term use than acetaminophen. One final note about acetaminophen use in children. I would strongly discourage the use acetaminophen either before or after a vaccine. A single dose of acetaminophen lowers the liver’s ability to produce the potent antioxidant glutathione. All vaccines are designed to create an inflammatory reaction in the body and the body needs adequate glutathione levels to combat this inflammation. Again, it is best to use supportive care for children who have a fever or who suffer adverse effects from a vaccine. Finally, the elderly need to be cautious when using acetaminophen. As compared to a young person, an elderly person’s liver is more susceptible to damage from acetaminophen. If you take acetaminophen, use the lowest dose possible for the shortest time period. Also, it is best to support the liver with the proper supplements when using acetaminophen. This can include taking vitamin C (3-6,000mg/day), N-acetyl cysteine (300-600mg/day), and alpha lipoic acid (3-600mg/day). There are many herbal products helpful for maintaining optimal liver function.